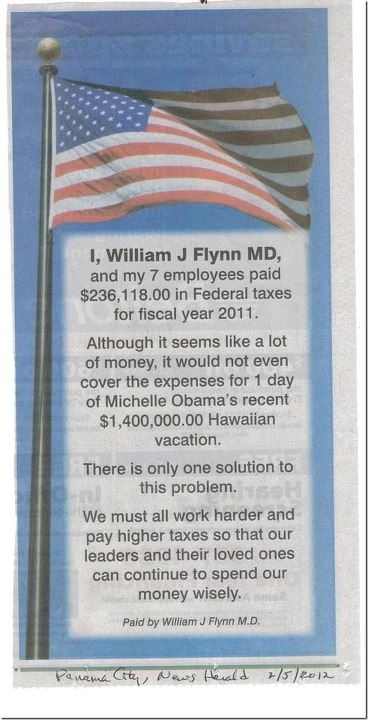 paid $236,118.00 in Federal taxes for fiscal year 2011. There is only one solution to his problem. our leaders and their loved ones can continue to spend our money wisely.